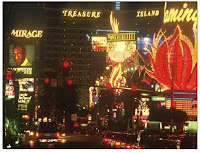 Some things that happen in Vegas stays with you and most people don’t even remember it until decades later. 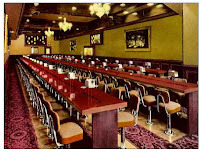 Did you know that nearly every household has priceless snapshots of Las Vegas’ past that span decades - from the era of Elvis, Liberace and "The Rat Pack," to more recent images taken during Bette Midler's "The Showgirl Must Go On" and Planet Hollywood Resort and Casino’s premier opening? According to The Photo Preservation Center and its Great American Photo Scanning Project, more than 80% of every photo scanning order from across the nation has a couple of Vegas snapshots packed within those shoeboxes of photographs. Many of the shots on the Vegas Strip are decades old and depict hotels, cars and apparel that are vestiges from decades ago. These pictures represent snapshots captured on vacations, conferences and driving trips that capture a very different landscape. What is most remarkable is that each picture is a time c apsule from the past, even if it was just taken a few months ago, as Las Vegas is ever transitioning and reinventing itself. The particularly striking quality of these Vegas snapshots is that the gambling Mecca is constantly changing, while other vacation shots from most other cities around the world has a similar look from one generation to the next. 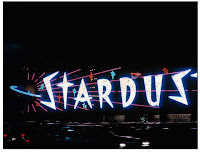 Photo scan orders from the 1950s taken in Paris and Rome, for instance, resemble those taken just this year; that’s the magic of Vegas’ constant reinventing of itself.